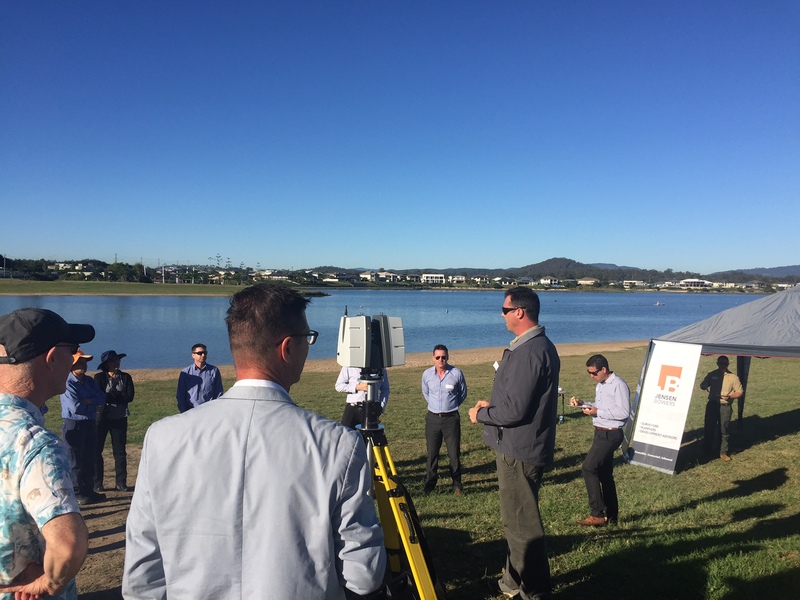 The JB team had a great morning on the Gold Coast last Thursday, demonstrating Jensen Bowers Group’s Drone and 3D High Definition Laser Scanning capabilities and discussing their various applications. Clients eagerly looked on as the Drone flew and mapped the surrounding parklands while the Scanner created a 3D cloud data set of surrounding features. Jensen Bowers’ team of surveyors have been providing Laser Scanning and UAV survey solutions for a number of significant projects throughout Queensland. Smart technology is combined with traditional surveying methods to offer clients real-time data that is captured quickly and safely and with more accuracy. A Brisbane demonstration date will soon be announced, however if you are interested to learn more about JB’s geospatial service offerings, contact Scott Morrison or Wayne Geradts on 3319 4933.